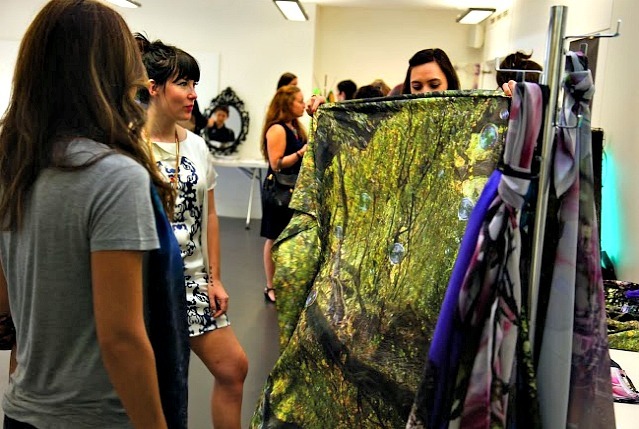 This month, we were privileged to be a part of The Fashion Galleries’ press preview day at The Conde Nast College of Fashion & Design in London. A full day event, the launch went on into the evening and sparked interest from a number of top tier fashion titles, making it a huge success for founder Sarah (above, with Marketing Manager Emily) and our team who was tasked with arranging the press guest list and goody bags. 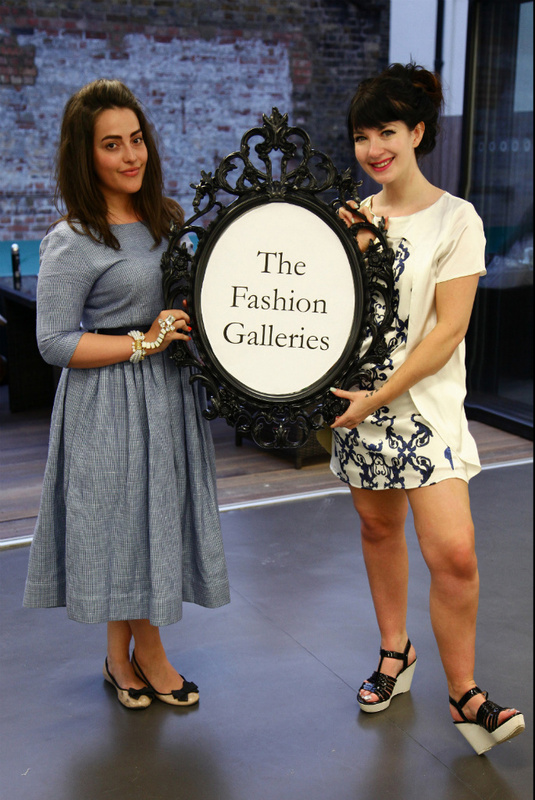 The Fashion Galleries is an online showspace which plays host to over 20 independent and emerging designers across womenswear and accessories, many of whom were showcasing their collections at the event. Met by sunshine and prosecco, guests were impressed by the collections on show which included Judy Wu, Only Child London and Claire English amongst others. Sarah did a great job of explaining her original concept for online shopping to press and each designer also had the opportunity to talk key journalists through their collections. 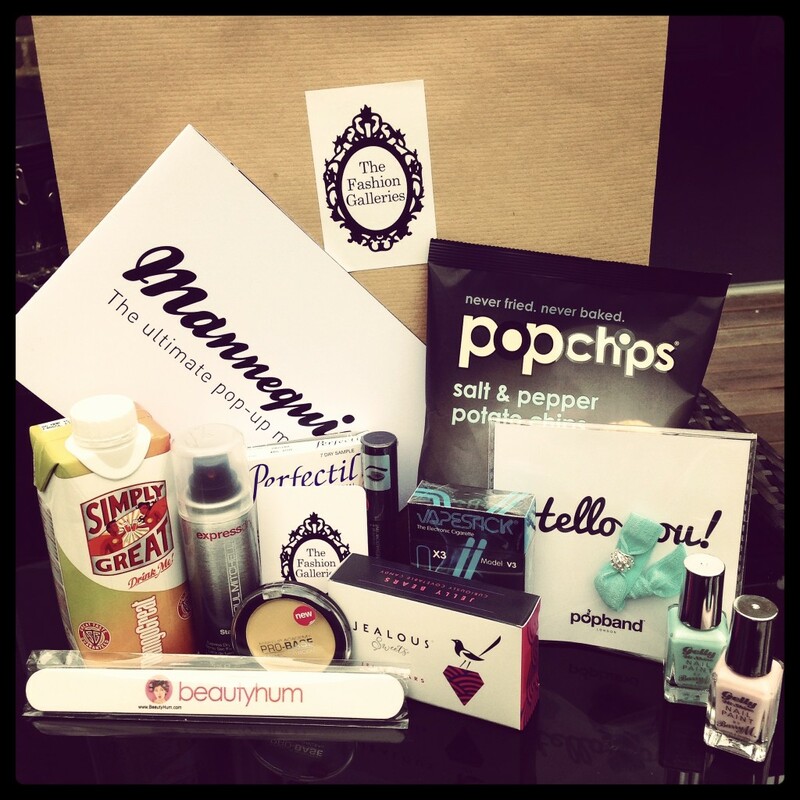 Arranged by Avant PR, the goody bags for The Fashion Galleries proved to be popular with contributions from a range of brands including Popchips, Barry M, Perfectil, Paul Mitchell, Popbands, Simply Great Drinks, MUA Make Up Academy, Vapestick and Beauty Hum. 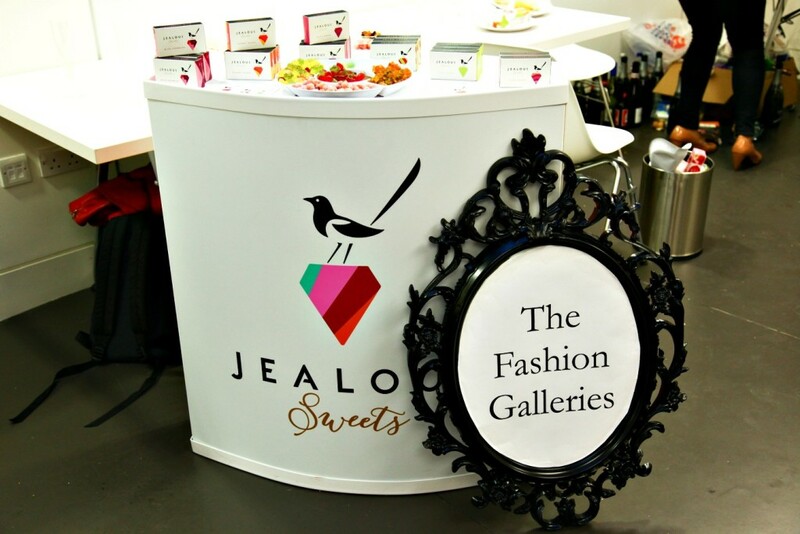 Also supporting the event were Jealous Sweets, a luxury confectionary brand on a mission to abolish the perception that sweets are made only for children (needless to say, we were suitably convinced). 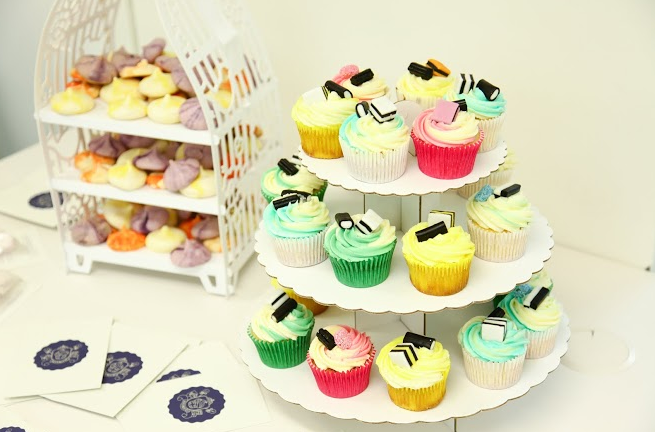 Alongside Jealous were some beautiful and tasty creations from Unhampered Girls with their tempting display of macaroons and cupcakes – who said fashion girls don’t eat? With a guest list put together by the Avant PR team which included faces from Vogue, S Magazine, Love and Miss Vogue, the event was a great success for all involved and allowed The Fashion Galleries’ brands to showcase their amazing collections to a wonderful mix of guests.